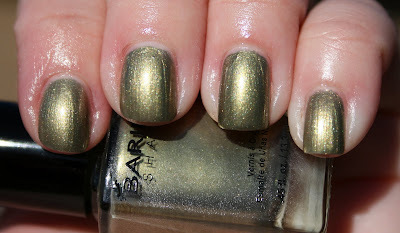 Today I have swatchs of three colors from the Barielle Shades Gem Stone Earth Collection. When I saw the bottles, I knew I had to swatch this one first. And it did not disappoint! 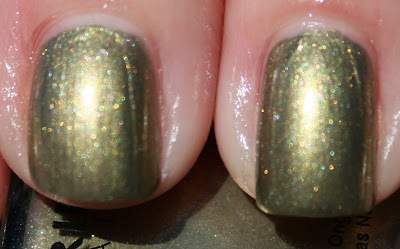 Here's a shot to show you the detail of the different shimmer colors in this shade- it is absolutely gorgeous- a stunner! Sadly, this showed my brush strokes. They were just unavoidable. 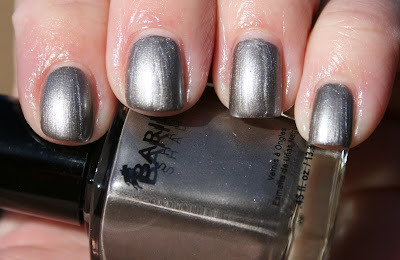 This was definitely my second favorite out of the three. Again, here's a shot showing the different shimmer colors- so pretty in the sun. All swatches are two coats and I must say, with the exception of brush strokes in Amber Sparkler, these applied easily and beautifully. The consistency was just about perfect. Disclosure: These shades were sent to me for review purposes.